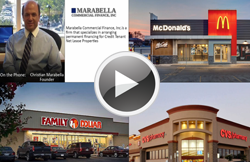 For the scoop on single tenant net lease properties I talked to three experts, including my friend Nancy Miller, of the National Net Lease Investment Group at Bull Realty, Brett Dargis, Director of Development for The Hutton Company, and Christian Marabella, Founder of Marabella Commercial Finance. 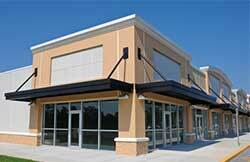 In its simplest form a Single Tenant Net Lease property is a free standing building net-leased to one tenant. 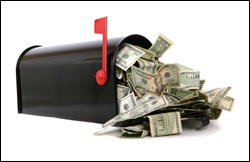 Many people consider it one of the safest and simplest commercial real estate investments, sometimes even referred to as mailbox money. The cap rates for individual properties will vary based on many aspects, including the strength of the tenant and the length of the lease. 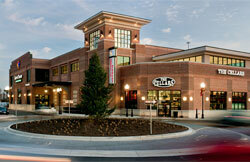 Location, of course, is always key, especially if it’s a retail property. Some things to consider include is the area growing or declining? Can the store be seen from the road? Is it easy to turn in and then get back into traffic? Is your donut shop on the ‘breakfast side’ of the commute? Access and visibility are crucial. Also consider where the competition is located. The quality of tenant and guarantee will definitely affect the cap rate: a corporate or corporate guaranteed lease might trade at 25 to 100 basis points lower cap rate than a franchisee guaranteed lease. If you have a friend or client that needs an easy reminder of the definition of cap rates, it’s the upcoming year’s annual net operating income divided by the price. An easy button reminder? It’s the cash-on-cash return the first year if you pay all cash. Quick service restaurants, QSR’s, are one of the popular types of sing le tenant properties. Speaking of QSRs (don’t call it ‘fast food!’) Hutton’s Brett Dargis shared a developer’s view on the single-tenant business. The value of these properties certainly varies with the tenant and the location. But it’s the lease that will have the biggest impact on what you’ll pay, and what you’ll earn, from your STNL property. Most landlords prefer a triple-net lease, where the tenant pays every expense related to the property. It is imperative to examine the lease agreements thoroughly in any deal, because all net leases are NOT the same. Definitions of ‘triple-net’ are variable, and landlords can end up liable for roofs and parking lot maintenance that they weren’t expecting. There are deals that are ‘double net’, assigning the landlord more responsibility: usually roof, exterior walls and parking lot. This can add up to 150 basis points to your cap rate, a significant difference. It’s considered more risk, but in some cases can yield higher returns. The length of your lease has a profound impact on the value of a single-net property, says Nancy Miller. “Are there 5 years left on the l ease? You might expect a 7.0 to 8.0 cap rate. Fifteen years? Now you’re talking a 6.5% cap.” Miller said she could not emphasize this enough: the most important thing that you are buying is the lease. Financing can get tricky when the length of the lease affects valuation, but a good mortgage broker can come up with creative solutions. Single-tenant financing pros like Christian Marabella can come up with strategies for dealing with a shorter lease term. Financing for single-net properties has it’s own quirks. Marabella, who’s financing firm specializes in these properties, shared some of the unique issues. Financing is plentiful for a national corporate property like a Wal-Mart, major brand drug or dollar stores, and home improvement stores, he told us. CMBS loans are available at 4-4.40%. For a friendlier prepayment option, bank lenders offer 3-, 5-, or 7- year fixed, amortized for 30 years, at 3-4.38%. Marbella noted that the debt coverage ratio, DCR is a bigger concern to lenders with single-net properties, and DCR is more likely to constrain the loan amount than the loan to value ratio, LTV. Banks want to see a business and a property that’s making money. They’re looking for 1.0 to 1.3% DCR. Buy a short-term lease property and negotiate early renewal with the tenant. How can you gauge the risk of a tenant failing to renew? Know your market inside and out. Is this the prototype store for this brand? Are they outgrowing this location? Consider a double net lease or a regional rather than national franchise; considered more risky, but provides a higher return. 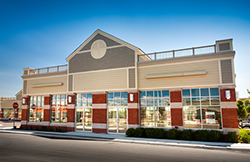 Many single tenant net lease investors are involved in 1031 tax deferred exchanges. Allow plenty of time to find and pick replacement properties. Start looking before you put the relinquished property on the market or at the latest when you find a buyer for your property. Make sure the proper 1031 language is in the sales contract and pick a 1031 intermediary you trust set up in advance. Get experienced broker assistance to locate and qualify potential replacement properties for you. Screen properties before they are chosen as one of your three potential replacement properties for roadblocks. Review the lease carefully and look for unforeseen expenses like environmental, easements, the possible need by your lender for rent loss insurance and possible shared infrastructure maintenance. Both Nancy Miller and Christian Marbella concurred that this year, interest rates will probably rise, and cap rates will rise, but lag behind, probably by about six months. Rising interest rates will impact single-net lease more than t he other sectors, because single tenant leases tend to have less escalation clauses than multi-tenant properties. “Don’t wait for your lease term to get too short! It’s harder to sell with shorter lease, you’ll get a lower valuation, and it’s more difficult for your buyer to obtain financing.” Miller was emphatic. “If you have 7-8 years left don’t wait. Cap rates are at record lows while interest rates are this low, and we have a short supply and strong demand for good properties.” If you want to sell in the next 5 years, 2015 could be good timing, before interest rates rise.